I think it’s common knowledge that the grape is a pretty average fruit. Eating a grape certainly doesn’t leave you feeling refreshed, like eating a sweet summer watermelon does, and the grape does not possess the apple’s uncanny ability to capture the essence of an entire season with one crisp bite. Grapes don’t have a category, they don’t have a season. Grapes are just…grapes– and as I’m not usually one to settle for mediocrity, I tend to reach for a fruit that’s a bit less, um, pedestrian, when perusing the produce section. But this was all before I discovered frozen grapes. 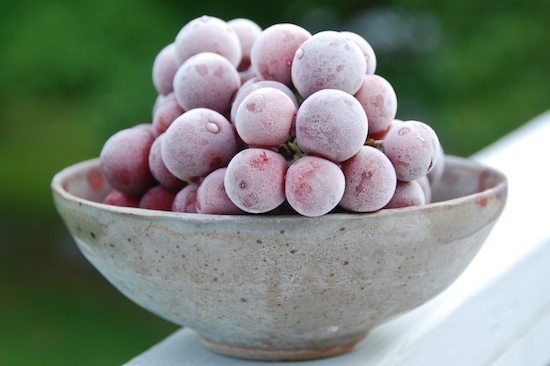 Frozen grapes are not a new product; they are just ordinary grapes that have been in the freezer for a few hours. It’s hard to believe that the simple act of freezing can transform this uninspired fruit into something that tastes so regal. That’s right. Frozen grapes actually taste like royalty. 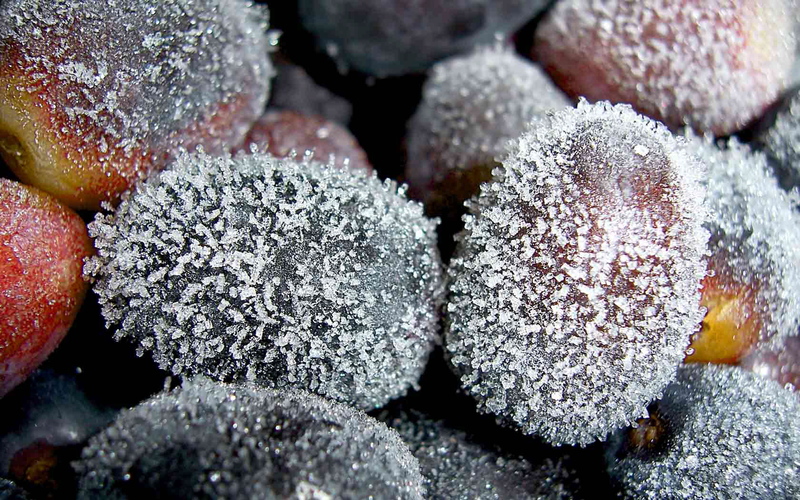 Non-frozen grapes often taste dry and chalky, but put your grapes in the freezer and they’ll taste like velvet. One of the biggest problems with eating grapes at room temperature is that you run the risk of accidentally grabbing a soft, soggy one. Just stick your grapes in the freezer and problem solved! When frozen, grapes don’t become rock-hard as one might expect. Instead they have a pleasantly firm outside while the inside has a bit of a crunch but still retains its juiciness. Frozen grapes are like the french fries of fruit.